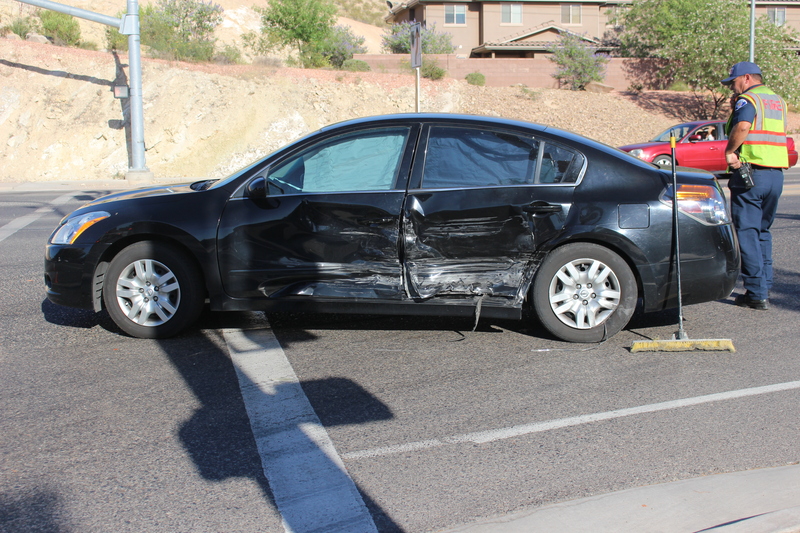 ST. GEORGE — A driver was cited for making an improper turn Monday after police say she T-boned a driver in St. George. St. George Police responded to the collision involving a black Nissan Altima and a silver Infiniti passenger car at the intersection of Brigham Road and River Road just after 6 p.m.
A woman driving the Nissan was southbound on River Road as the woman driving the Infiniti was preparing to turn left to go west on River Road, St. George Police officer Phil Lewis said. As the driver of the Nissan proceeded through the intersection, Lewis said, the driver of the infinity turned left and crashed into the Nissan. An independent witness at the scene told police the driver of the Infiniti had a red turn arrow when she turned left. Medical crews from Gold Cross Ambulance responded to evaluate the drivers, but no injuries were reported to police. Airbags deployed in both vehicles and the divers were wearing seat belts, which Lewis said helped prevent any serious injuries. A citation was issued to the Infiniti driver for improper left turn, Lewis said. The Nissan sustained heavy damage to its driver’s side, while the Infiniti’s front end was heavily damaged. 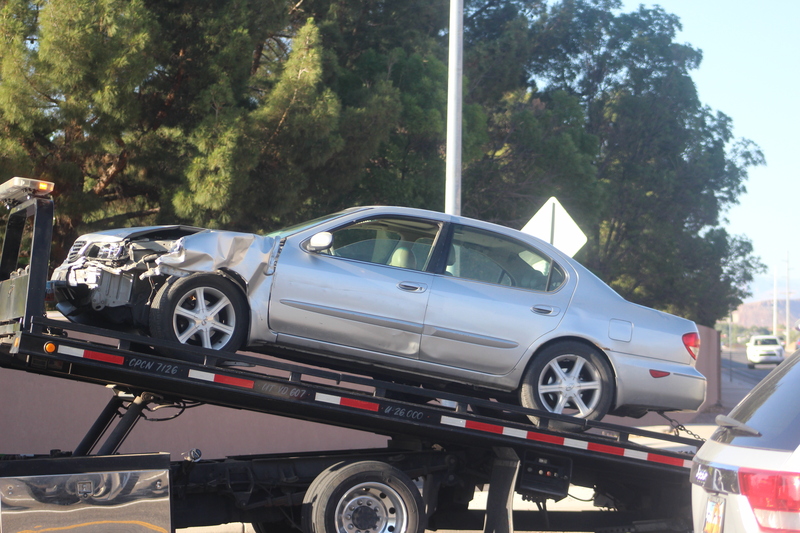 Both vehicles were towed away. Traffic through the intersection was intermittently blocked or slowed as emergency responders cleaned up the scene. Crews from St. George Fire Department also responded to the crash. Well I guess I must have a strange sense of direction because I wasn’t aware that river road went west at all. I personally wish they would get rid of the stupid flashing yellow arrow. It seems to confuse the idiotic drivers here even worse than the turn on green light they used to have. My only two questions about this accident are if her arrow was red was the light red for the southbound car as well? Was she just trying to clear the intersection and the other person ran the light as well? Doesn’t really matter the cause, traffic signals, safety or anything like that. Here, when you want to turn left, you just do it.